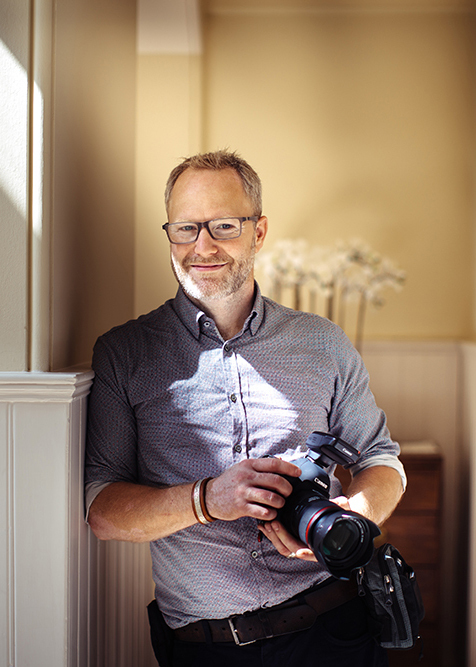 I live in the small city of Derby in the East Midlands with my wife Renata, an amazing woman who thankfully shares my passion for photography and for living life to the full. We are lucky enough to have a small group of fabulous friends who also share our love for travel and sports. I am at my happiest in the ‘great outdoors’ and in my spare time, surf, snowboard and enjoy a good game of football every weekend. There is something about the freedom which surfing and snowboarding brings which makes it almost addictive to me; the stresses and strains of the fast paced life seem to ﬂoat away leaving me able to fully appreciate the beautiful world around us.It is this love of nature that first inspired me to pick up my ﬁrst camera when I was a wee lad of just fourteen. I loved it so much and got so excited by it that I knew right then it was the career for me. I set up a lab in my parents’ shed and have developed my own prints ever since. I believe that learning the trade from such a young age, using film and the good old-fashioned techniques, gives my work a little edge. Before technology was around to give us a helping hand, a good photograph required excellent knowledge of creative lighting and perspective – skills I still utilise in my work. I feel this makes my pictures a little different, warmer in some way, and hope that my customers feel I have effectively captured not just the events but also the feeling of their special day. People always ask what is my style – a question I dread as I find it impossible to answer! I have no fixed style, instead I am influenced by the subject, the mood or the occasion. Photographers seem to be quick to deﬁne themselves as ‘creative’, ‘natural light’, ‘documentary’ or ‘reportage’. Really for me though, I ﬁnd it difﬁcult to pigeon-hole myself in any one category as I enjoy experimenting with all of them! I see every wedding as unique and consequently, my photography is unique to each couple. I’ve been working in photography for 25 years now, starting on film when people had to learn how to take a picture , and after 15 years in hairdressing alongside fashion photography, I decided to do more weddings and up the game for other photographers. Insurance is a vital part of our industry so the answer is a big yes, and I would recommend that you don’t use anyone who doesn’t own 2 cameras or can’t provide you with a certificate of insurance. Just like Columbus I was willing to find out if the world was flat or round. And soon I discovered that Columbus was right in that the world was round and have travelled all over it for work and for fun! There is no limit to where I will go. I’m a big Canon fan and have been for 20 years. I have the top of the range Camera lenses and lighting which is serviced and renewed on a regular basis, with back-up to complete the job if required. The copyright of the images will always remain in the photographers name. But I will provide a license for all images of your day to be printed and produced as long as it is not for a profitable or commercial sale. How long after the wedding will we see the images? You may be aware that processing can take some time to apply your style of effects onto your captured images. We aim to get these processed and ready for you within 2-4 weeks after your wedding day (Please be aware that at peak times or weddings abroad, it may take a little longer).